The official cover was a lot more boring. 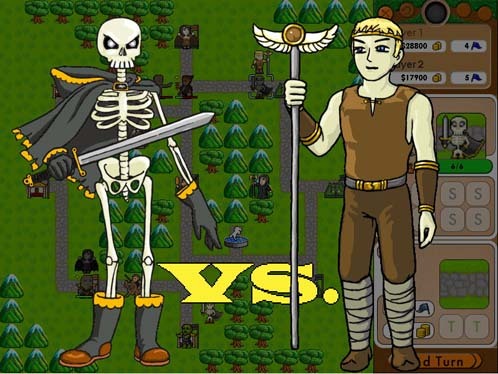 When we first played the demo for this small independent game in 2005, we were intrigued by its simple but intelligent gameplay. With just a few types of units and very little terrain variety, you’re forced to think about the core principles of turn-based strategy. The demo included a few training levels and introduced the story. An endearing elfin scout acts as your guide and personalizes these early game experiences. She does a good job of making you care about her and her cause. This struck us as a good template for moving forward. Unfortunately that wasn’t the case. Why didn’t you stick around our long eared friend? With the demo played, the game went on our long list to acquire and play in the future. However our delay in acquisition caused complications. Indie games like this can have tenuous distribution and support. By the time we searched in earnest, the game was nowhere to be found—either in download form or disc purchase. In the end we resorted to purchasing a used disc on eBay, and played it on an old computer that supported it. There are other lands that have yet to be made into games. The tutorial: It’s clear and well paced. They use simple but helpful arrows to point out relevant items. Time was spent crafting tutorial maps and scenarios. Despite some lame humor from one of the tutorial characters, the section serves as a well done example. (Some games just don’t do much.) Though the writing is a little weak, the delivery works well enough to maintain immersion. 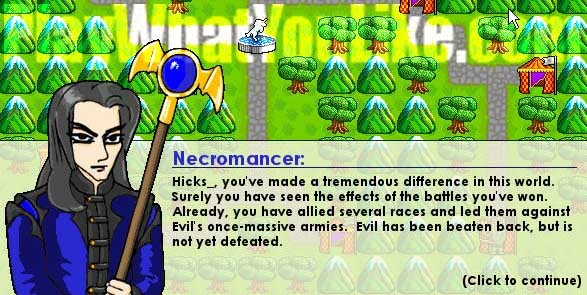 Ranged units do half damage on turns in which they move: We wern’t sure this mechanic would work. The conclusion is that it’s a reasonable compromise for this game’s system. It keeps the power of ranged units in check, while still giving them attack options. Sorry, cuteness does not add any extra damage. Units can only retaliate if unspent: So, one retaliation a turn. This simple mechanic adds depth and thought to tactical decisions. It fits the overall structure of where this game focuses its complexity, and works. 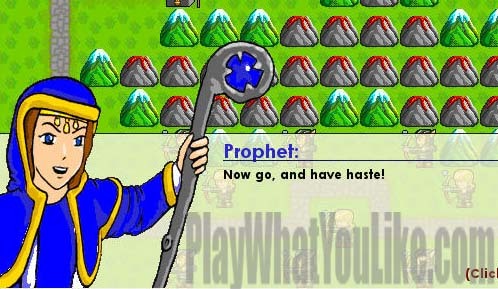 You are the adviser: Like Fire Emblem (Blazing Sword), you are placed into the story as a mysterious tactical adviser. While we have some issues with the story (that we will explain later), this is a good way to insert the player. The high concept: The story has a grand scale. The kind that make your efforts feel important. You are charged with uniting the many different races against an ancient evil. Don’t knock the classics. Your money’s worth: There are lots of levels and map content. You won’t feel gypped, especially at the price. And you might enjoy witty titles along the way. 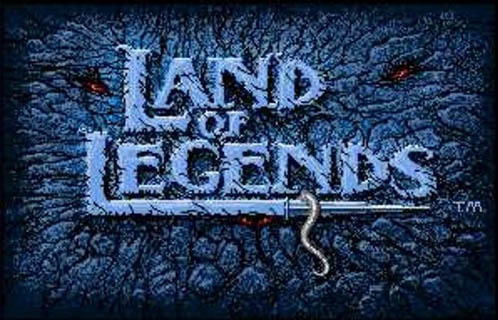 The music: Land of Legends has six good tracks. No, we’re not saying the others are bad, we’re saying there are no others. With this few music tracks we usually put music in the negative categories. However the six tracks are really good, epic even. Background tracks are easy on the ears and don’t get old. Forced pace missions: While a valid mission type, it’s one we don’t care for. Getting it done in X turns can lead to sacrificing units to make the deadline. That goes against our preferred style of play, “Everybody goes home!” And for arbitrary reasons. At least our elfin archer friend made it home. Some are more fun than others, but there is variety. We admire the calculations necessary for very close get X money levels. The tone duel: At times serious, at times silly, determining how to engage with the game can be challenging. Both elements can be incorporated into one story, but in this case the juxtaposition feels jarring. Like a line that says, “… giving the gnome’s beachfront property…” Just a little out of place. The dialogue: We’re not going to say the writing is bad. The stories and themes are worthy. However the dialogue itself and the mission setups are clunky and/or too long. Some are dry and wordy, others too goofy. 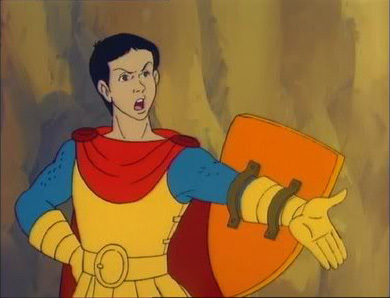 Reminds us of another “great” knight from Dungeons & Dragons the animated series. Asleep at the (difficulty) switch: Game testing for difficulty must be thorough! A mission that’s too easy or too hard might slip through, but it happens too many times in this game. Being too hard is worse, because most players will just stop playing. The artwork: We don’t want to come down on it hard, because someone put a lot of heart and time into it (and it’s cute). However their skills aren’t top notch yet. It’s the most obvious indicator of a low budget indie game. While the story themes are good, they aren’t deep. The narrative never grows as it should. After 30 levels, we still felt like we were repeating the same story in different lands—because we were. A new land, a new race, the same old tired attitudes. Nobody wants to work together, most blame someone else or make you jump through hoops. In the end we don’t want to save any of them—except maybe the elves, and there are nine races with four missions each. And that doesn’t include whatever the final scenarios are. “A Legend in the Making” eventually made me question making a legend… Huh? Does that even make sense? So the game drags beyond the “sweet spot”. Long beyond what the mechanics or story can support for exciting gameplay. You can succeed if the mechanics are still fun OR the story is intriguing, but not if both fail. It would be better if the elfin scout from the early levels stayed as your companion. She’s fun. You can relate to her and actually want to protect her in battle. Having a special unit to care for would have added an engaging and sustaining element to the later scenarios. How about using units from the earlier races whose scenarios you have already passed? 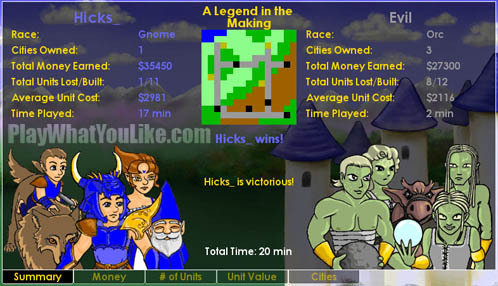 The game allows for elf units to be made out of elf cities, and human units out of human cities, etc. There are scenarios with multiple city types. They could have been used to this end. 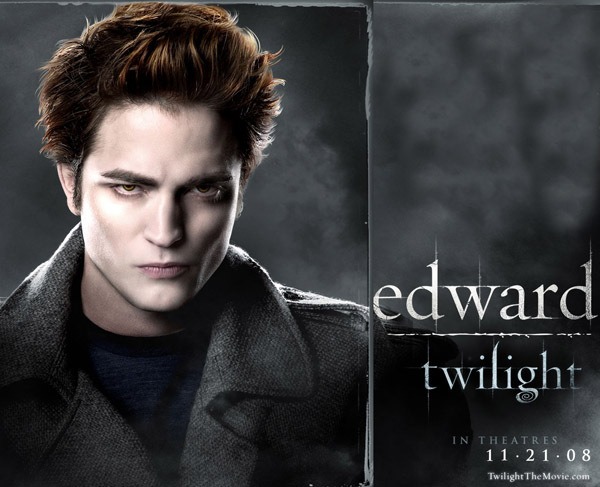 Hey, it’s Edward from Twilight! Thanks for letting us know it isn’t over yet. When will it end? Apparently death is not enough–and Edward would know. Although a little goofball, the icon art worked clearly in the stats. Our play time total may be more than noted. There were long spans between play sessions. But looking back upon those hours of gameplay, we got our money’s worth. We were entertained for long spans before being overtaken by an annoying scenario. One of those scenarios ended it for us. It was an “earn X amount of dollars in X amount of turns” type. The largest yet. Earn $55,000, which is a lot and takes many turns. It was frustrating earning $54,700 after a long session, falling just short. We just didn’t have the desire to try again. You better run…to the bank. We now know how much those elf outfits and bows cost. The Land of Legends demo is definitely worth playing. If you like that, it’s worth playing a number of hours more. The unconventional mechanics are bold and work. We don’t know what the final scenario was like. The one where you actually fight Evil (yes his name was actually “Evil”), but we suspect it would have been nothing new. A well known Seinfeld episode depicts Jerry teaching George the value of “always leave them wanting more.” This otherwise good game did not take heed. It started with great promise, but went too long. Okay, we’ve got our haste. We’re going. 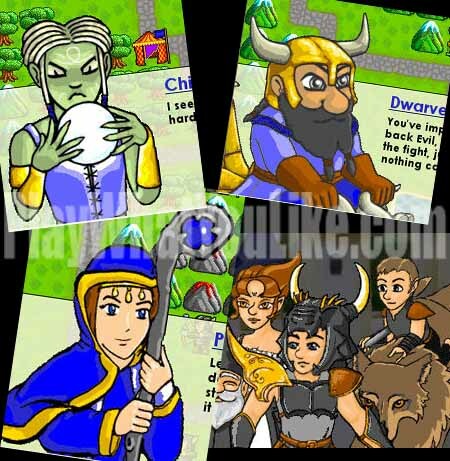 Addendum: Ridiculous Software is in the process of making an updated version of Land of Legends with new graphics. We like the new stylized look. We look forward to playing this new version on mobile devices.